Dan Rogers, Hannah Williams, Reuben Nicholas, Hannah Lyden, Joe Lyden, and Georgie Ingmire. The adult choir sang the services at Brecon Cathedral on Sunday 7th August [above picture]. They led the Sung Eucharist in the morning and Choral Evensong in the afternoon. Music included Pittoni's "Cantate Dominum" as the anthem during Holy Communion; Stanford's Canticles in C, Haydn's "The heavens are telling" and responses by Luke Spencer in the afternoon. There were lots of positive comments from the Cathedral congregation about the music and a warm welcome from the Dean. We all enjoyed a hearty Sunday lunch at Pilgrim's Restaurant in the Close and it was so good to be together socially as a choir. We thank Luke and Anne for organising the day, Hywel Evans for playing the organ and the choristers who came along. We hope that it will be the first of many singing away days for the choir. September will be dominated by the "Mumbles Festival of Music and the Arts" - the new name for "All Saints Alive". The choir will lead two special services; the Choral Eucharist on Sunday 18th and a Festival Choral Evensong on Sunday 25th. They will also take part in the Four Choir Concert on 17th September. New choristers are always very welcome to join us - just come along to practice on Wednesday evenings [6-7pm for juniors - 630pm to 730pm for adults]. A selection of music recorded at All Saints Church Oystermouth. Here is some organ music played by Leslie Ryan, simply click on the title to hear the music. All Saints boy chorister Dominic Caselton sings Mendelssohn's O for the wings of a dove followed by Andrew Lloyd Webber's Pie Jesu from the Requiem Mass, Dominic is 13. Recorded 2015. Organ Scholar 2011- 2013 Sean Rees ATCL plays a selection of music. 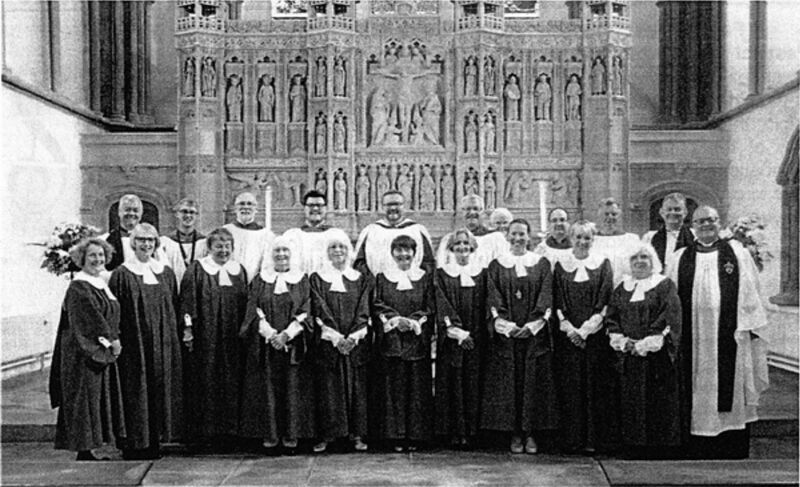 Sean was a choral scholar at All Saints. Recorded 2013.